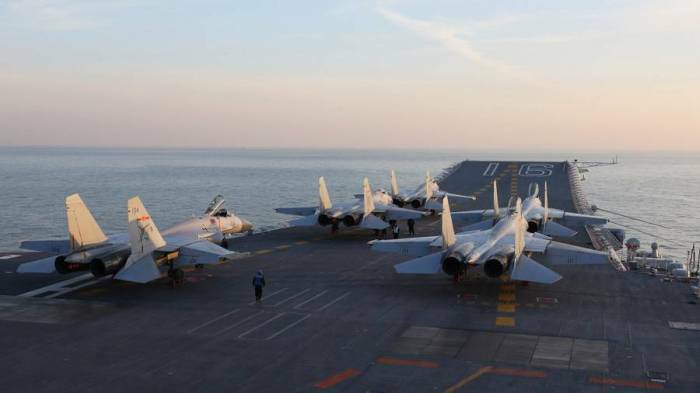 The new the US $716-billion defense bill foreseeing stronger military support for Taiwan and closer scrutiny of Chinese companies, is a manifestation of “Cold War mentality” that will damage bilateral ties, Beijing warned. China said it was “strongly dissatisfied” with the National Defense Authorization Act, or NDAA for 2019 recently signed by Donald Trump. The Chinese Defense Ministry blamed the Americans of being stuck with “Cold War mentality” and exaggerating the level of differences between China and US. Beijing is “firmly opposed” to the NDAA, which “interferes in China's internal affairs, violates the One-China principle and… damages China-US mutual trust and cooperation," the statement read. The aforementioned “One-China” is referring to the issue of Taiwan, as the defense policy act seeks to increase military cooperation and arms sales with the self-governed island, which has been actively trying to distance itself from the mainland and seeking more autonomy. "We resolutely oppose any country having any forms of formal and military exchanges with Taiwan, this stance has been consistent and clear," Defense ministry spokesman Senior Colonel Wu Qian said. "We will not allow anyone to split Taiwan from China in any way or at any time." Washington’s flirtations with Taipei have long been a sore point in US-Chinese relations. While vocally recognizing Beijing’s “One-China” policy, which stipulates the country’s integrity, the Americans have never refrained from weapons sales to the island as well as separate contacts with its leadership. After the signing of the NDAA, Taiwan’s President Tsai Ing-wen said she was grateful to the US for its support and promised to boost defense spending. The NDAA also called “long-term strategic competition with China” a top priority for Washington and prohibited China from future Rim of the Pacific Naval exercises. China’s commerce ministry said it would comprehensively assess the US bill, as it includes watered-down controls on US government contracts with Chinese companies.